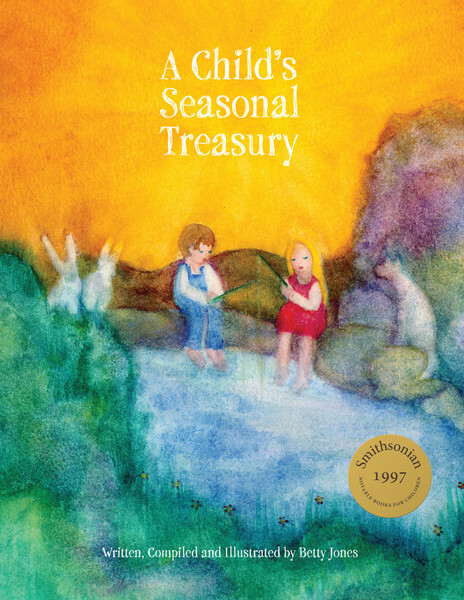 To order one or more copies of "A Child's Seasonal Treasure" by Betty Jones, please follow this link or click the button below. Betty Jones studied Rudolf Steiner’s philosophy of education at Emerson College in England (1973–76).She pioneered Waldorf kindergartens in California, Hawaii and New Zealand, and later became a Resource Specialist for Spanish-speaking learning disabled students in the California State Public Schools.She developed a cross-cultural curriculum inspired by Steiner’s methodology for early language acquisition including a “Sound Train”, a hand-made manipulative to enhance phonetic learning.In 1989, Ms. Jones earned her Master’s degree as a licensed Marriage, Family and Child Counselor, and subsequently a post-Masters degree in Art Therapy. 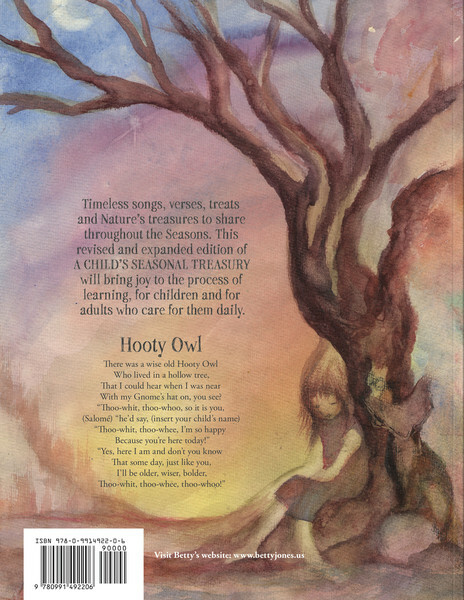 She piloted her WATER OF LIFE project at Kinderspital Zurich (1996–97) with hospitalized children undergoing the stresses of catastrophic illness and disabilities, and brought this art therapy to Thailand for traumatized children who survived the devastating tsunami in 2005.With this new edition of A Child’s Seasonal Treasury, Ms. Jones looks forward to the publication of other books she has written and illustrated.